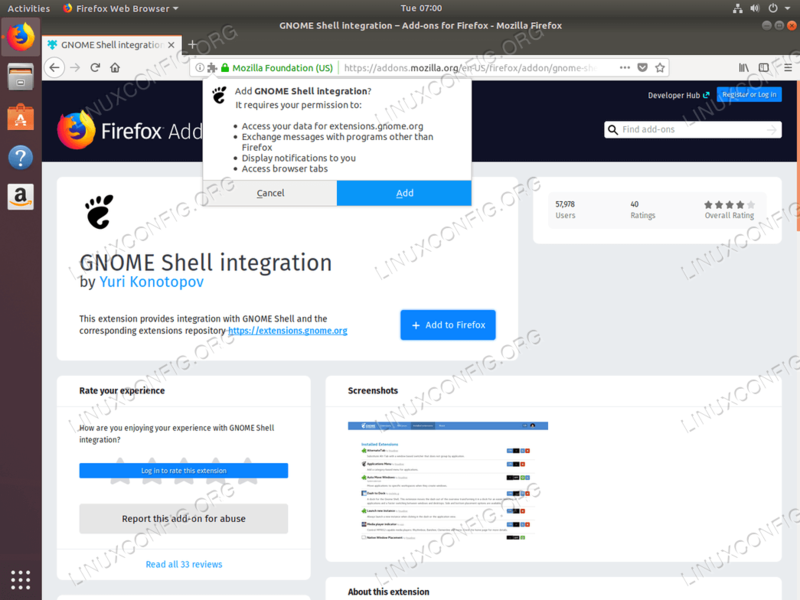 The objective is to install Gnome Shell Extensions on Ubuntu 18.04 Bionic Beaver Linux. 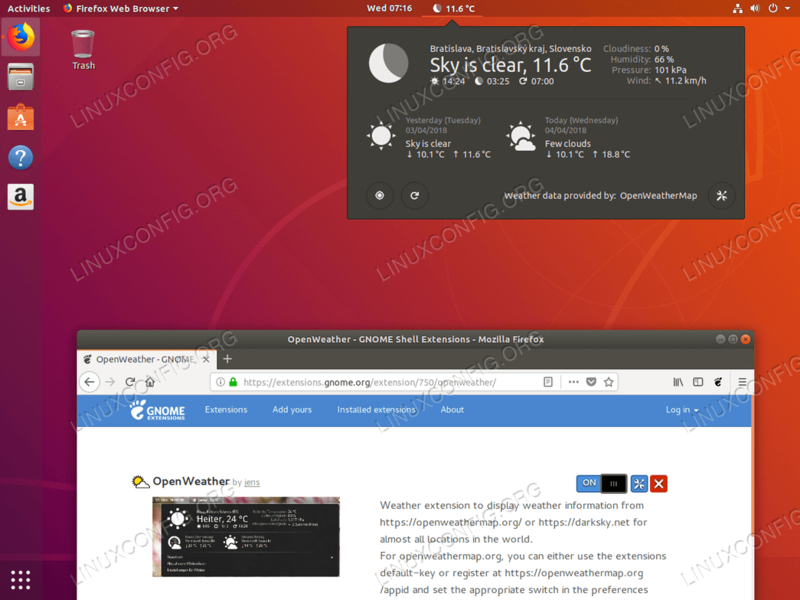 The following page lists top 10 Best Gnome desktop extensions for Ubuntu 18.04 Bionic Beaver Linux. Once installed, re-login to your Ubuntu system and use Tweak Tool to enable any desired extensions. 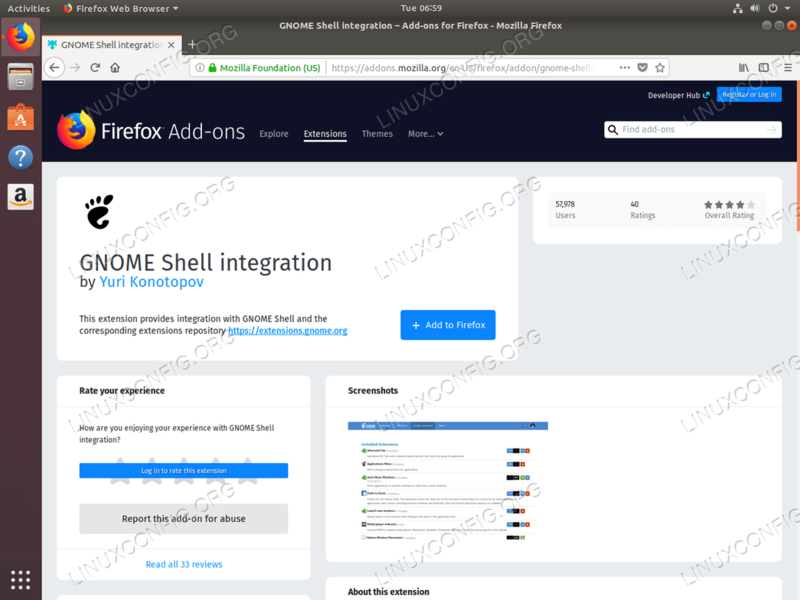 Open up your Firefox Browser and visit firefox addons page for gnome shell integration. Once ready, click + Add to Firefox. Hit Add to add GNOME shell integration. All should be ready to install gnome extensions. Navigate your Firefox browser to https://extensions.gnome.org/ and simply search for Gnome extensions you wish to install. Flip the ON switch to install the extension. Install extension by clicking on the ON switch. Click Install to confirm the gnome extension installation. 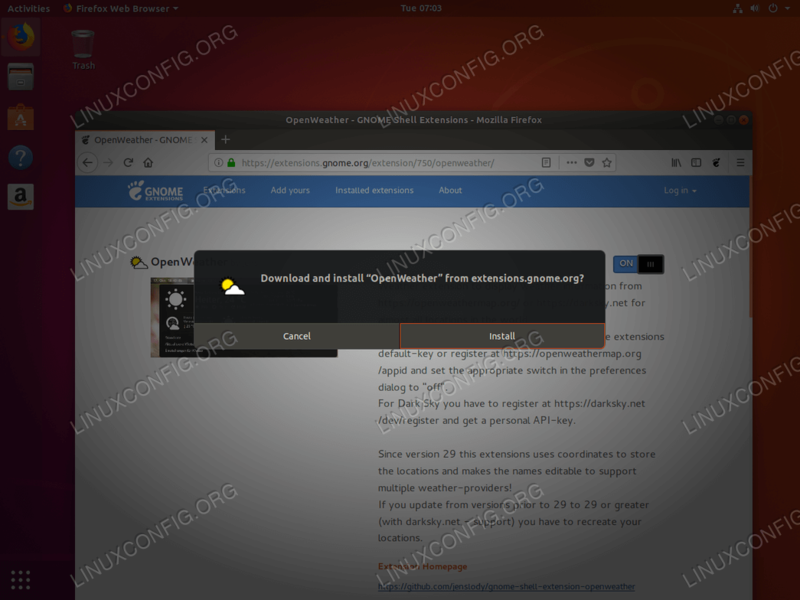 Once installed the extension should appear on your Ubuntu 18.04 Gnome desktop.